Publisher: Ruth Nyaboe September 03, 2017 This information is provided solely as a guideline. An easy, delicious recipe made with ingredients you always have around the house! 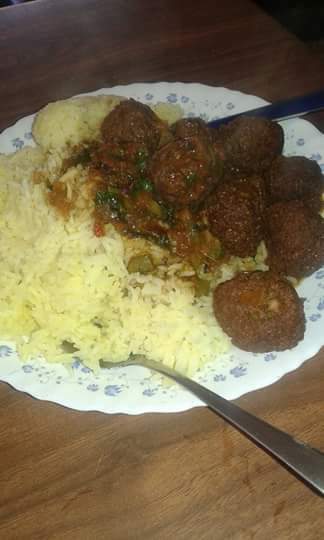 After frying the meatballs and thickening the sauce, you will agree with me that these meatballs certainly live up to their name. A definite winner! Wonderful served with rice! For the meatballs, mix the beef mince, beaten egg and chopped onion together in a large bowl, using your hands, until well combined. With wet hands, roll the mixture into walnut-sized balls. Heat the oil in a frying pan over a medium heat. 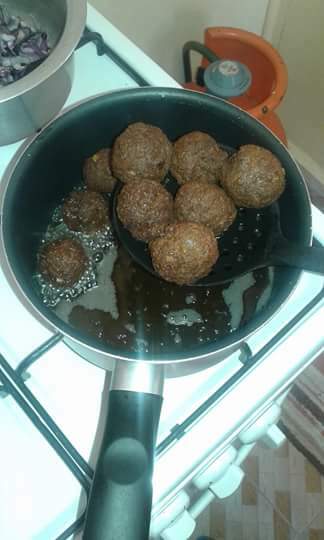 Add the meatballs in batches and fry for 4-5 minutes turning regularly, or until golden-brown all over and completely cooked through. Remove from the pan using a slotted spoon and set aside to drain on kitchen paper. For the spicy tomato sauce, heat the oil in a large pan over a low to medium heat. Add the onion and garlic and fry for 6-8 minutes, or until softened but not colored. Add the cumin seeds, black peppercorns, cloves, cinnamon stick, bay leaf, and cardamom pods and continue to fry for 3-4 minutes, or until the spices are fragrant. Add the garam masala, chili powder, and ground turmeric and fry for a further 2-3 minutes, or until fragrant. Add the canned tomatoes and bring the mixture to a simmer. Simmer for 18-20 minutes, or until the mixture has thickened. Stir the meatballs into the spicy tomato sauce until coated and continue to simmer for 4-5 minutes, or until warmed through. To serve, spoon the rice into the centre of four serving plates. Spoon the meatballs and spicy tomato sauce on top.